Preparing for the future is an indication of how responsible a person you are, that you don’t want to be a burden to your loved ones and that you have funds saved in case of emergency. Whether you are single or married, identifying your goals will easily help you shape your family’s financial future. But, before anything else, make sure that all your personal needs are met. Make the most out of your hard-earned money by saving, investing and enjoying at the same time. Classify your goals into “very important”, “important” and “less important”. This way, it will not be difficult for you to budget and allocate your money depending on the goals you have identified. Just an idea, emergency fund, life insurance, healthcare plan and educational fund fall under “very important” category. Monthly payables such as rentals, bills, cellphone loads, etc. fall under “important” while new shoes, car, clothes, gadgets go under “less important” categories. 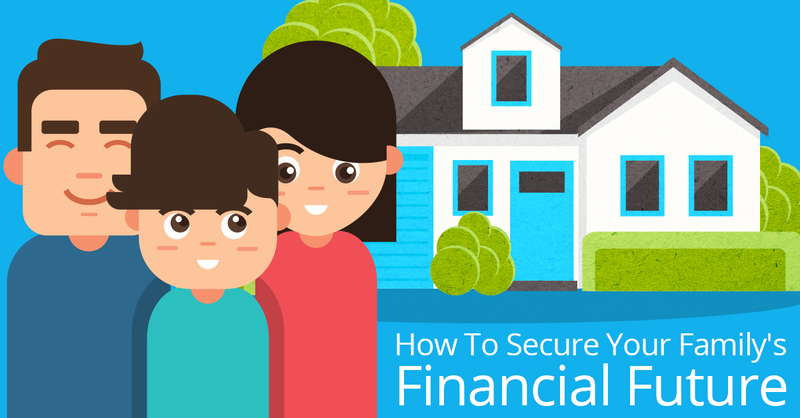 This article focuses more on the “very important” goals that will help secure your family’s financial future. Emergency Fund - Saving money for emergency allows you to prepare for life’s unexpected events like sickness, unemployment,, home repairs, among others. It also keeps you from being stressed since expenses are very costly. They say you’re already safe if your emergency fund is worth at least 6 months of your monthly salary, if you don’t have this yet then it’s best that you start saving now. Life Insurance - Talking about getting a life insurance may sound a bit odd for some, but did you know that this gives your family the peace of mind and saves them from future financial struggles? It will be less of a worry for you because you know that they will be taken cared of even without you around. Health Care Plan - Sickness happens to anyone no matter how healthy you are right now. Health care insurance provides daily cash assistance when you get hospitalized. You may file a claim with or without HMO coverage or Philhealth subsidy. With this plan, you have the freedom to decide where to use the cash benefits that you will receive. Whether for medical expenses, paying your bills, or daily household allowance while you are still recovering and could not go back to your normal routine. Educational Fund - Education is something that cannot be taken away from your children. By investing in their education you are not only opening brighter opportunities for them but also helping them achieve their dreams. Paramount Direct offers affordable life insurance, health insurance, savings and educational plans. To view the list of products, its features and premiums you may visit https://www.paramountdirect.com/. Your family is important to you that’s why you work hard to give them a comfortable life in the years to come. Take action and start shaping your financial future today!